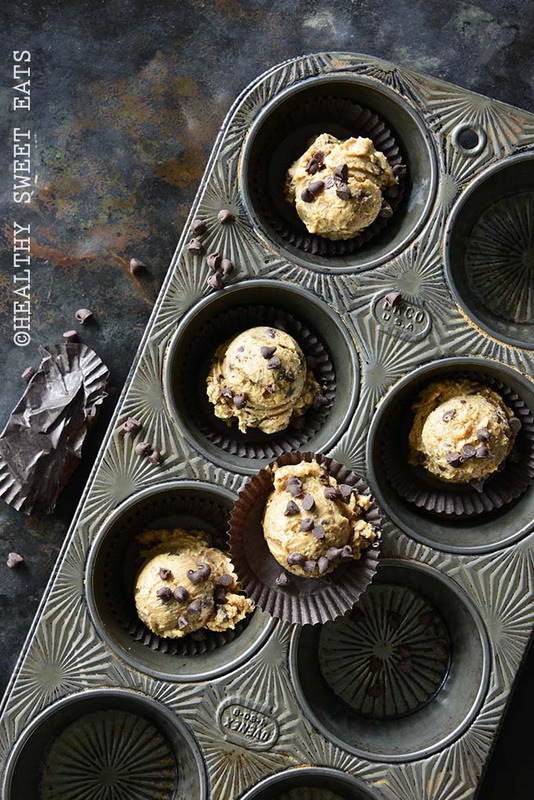 Keto Low-Carb Chocolate Chip Cookie Dough Fat Bombs taste like regular cookie dough, but without the sugar crash and with the nutrient-rich addition of grass-fed healthy fats. We all have one or two desserts that we just can’t pass up. Maybe it’s New York-style cheesecake, or a hot fudge sundae or carrot cake (we even sometimes try to convince ourselves that the last one is healthy, right? Because forget all the sugar, flour, and unhealthy fats, when dessert has a carrot in it, it must be healthy, lol). For me, that one dessert is cookie dough. Notice I didn’t even say cookies, it’s just the dough (because for some reason I can’t quite understand, there’s something magic about a spoon – or three – of raw dough). And I’m not picky when it comes to dough; chocolate chip is my all-time favorite, but to me they’re all good. Sugar cookie dough, molasses crinkle dough, triple chocolate dough…I have to find a cookie dough I didn’t like. The thing about keto and low-carb eating is that the focus is on what you can have instead of what you can’t. It’s not that I can’t buy a tube of premade chocolate chip cookie dough from the grocery store; instead, I choose to nourish myself with grass-fed fats in the keto version of my childhood favorite. The ingredient list of this cookie dough is pretty basic, but it’s so much more delicious than anticipated. 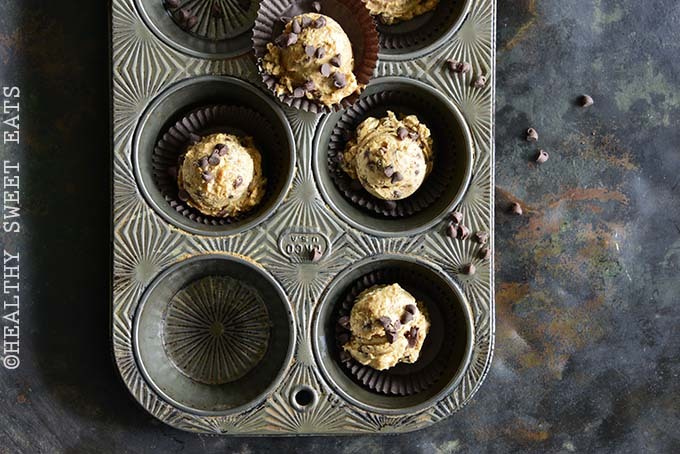 I’ve tried a lot of keto fat bombs in the past couple years and I would have to say this recipe is my favorite! I like to keep a batch on hand for those times when I’m craving something sweet or just need to feel like I’m indulging. 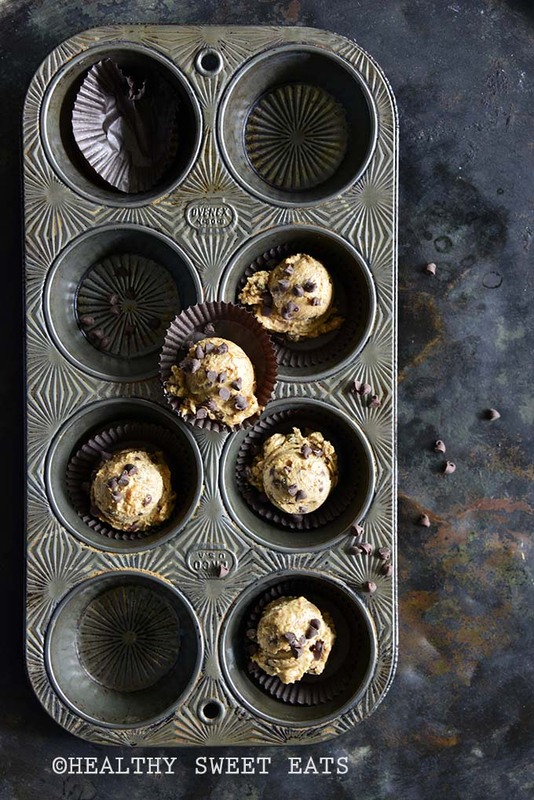 These are ridiculously satisfying in a way that regular (sugar crash-inducing) cookie dough will never be. What’s your all-time favorite dessert? 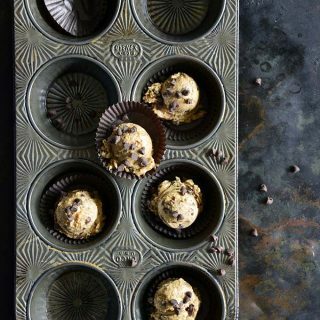 Cream together the cream cheese and butter, and then beat in the almond butter, Swerve Confectioners, vanilla, molasses, stevia, baking soda, and salt. Fold in the chocolate chips. Divide into 12 equal portions, and store covered in the fridge.